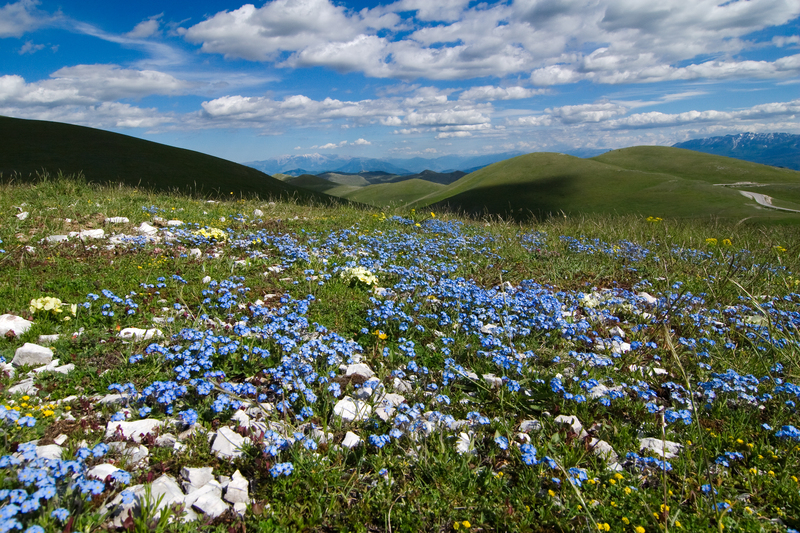 Abruzzo National park is known as the “Green Region of Europe” and also referred to as “Italy’s Garden”. The Abruzzo national park mountain range also known as “La Bella Addormentata” (The Sleeping Beauty) is 40 minutes away from the Villa. Abruzzo’s extensive park system, Parco Nazionale d’Abruzzo, includes natural beauty akin to national parks in western United States. Among them are the Parco Nazionale della Majella d’ Abruzzo, Parco Nazionale d’ Abruzzo, Parco Nazionale del Gran Sasso e Monti della Laga, Pietracamela, Italia and Parco Naturale Regionale Sirente Velino. In the Abruzzo Gran Sasso the Corno Grande, is the highest peak of the Abruzzo Apennines which majestically rises 2912 meters above sea level. Abruzzo national park is famous in Italy, and worldwide, as a model for nature conservation and environmental safeguard Abruzzo has so much to offer all year round – summer beaches, winter skiing in Abruzzo ski pistes, Horse riding, Trekking, Cycling, Canoeing, Paragliding, Bird watching and long warm days in the spring and the autumn to walk around Abruzzo’s hills and lakes. While visiting Italy, nature lovers will certainly want to explore the Abruzzo national park – Italy’s oldest national park. One third of the region of Abruzzo is set aside as nature preserves. Rare species, including the Pyrenean chamois, the Marsican brown bear, and the Italian wolf can be found there. Western Abruzzo is a mountainous region that includes the Gran Sasso d’Italia. 75% of all Europe’s living species, can be found in Abruzzo’s nature. The Abruzzo chamois is the unofficial symbol of the region of Abruzzo. Sometimes called the Pyrenean chamois, this goat antelope (a member of the family that includes sheep and goats) is prized for the leather made from its skin. 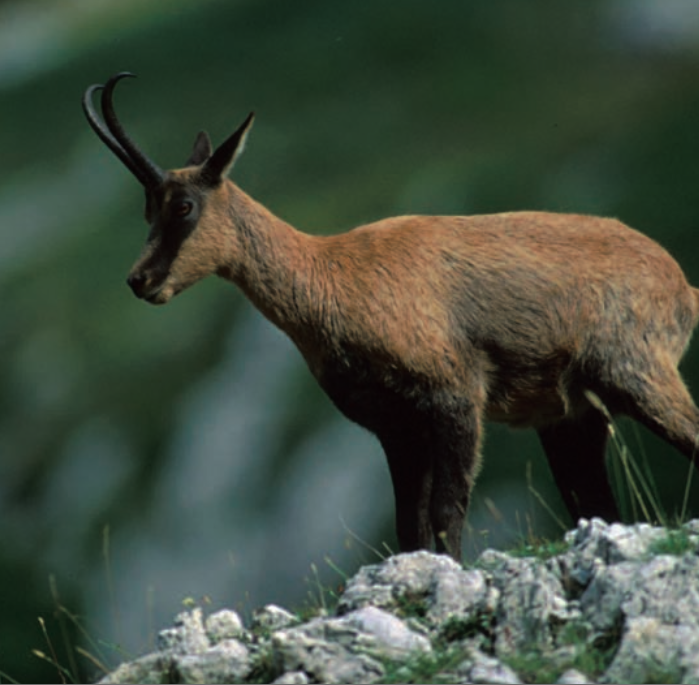 Driven to near-extinction, the Abruzzo chamois is no longer considered a threatened species. This animal can be found in the Pyrenees and Apennines mountain ranges. The Apennines include Gran Sasso Italy, the “Great Rock” of Italy. About 80 miles from Rome, the mountain is located in Gran Sasso e Monti della Laga Parco Nazionale. Its highest peak is the Corno Grande, the tallest Abruzzo mountain. The Corno Grande is the highest mountain peak in Italy. Campo Imperatore is the resort for skiing in Abruzzo at this national park of Abruzzo. The Parco Nazionale della Maiella, or Maiella National Park, is another national park of Abruzzo. The rugged mountainous terrain makes it an ideal habitat for “shy” species of animals like the Marsican brown bear and the Italian wolf. The Apennine wolf is on the logo of Maiella National Park. Maiella is also home to Grotta del Cavallone, one of Europe’s deepest caves that’s open to the public. Abruzzo National Park, or Parco Nazionale d’Abruzzo, Lazio e Molise, is the second-oldest national park in Italy. This Abruzzo Park is another place for Alpine and cross-country skiing in Abruzzo. Abruzzo National Park also boasts an old-growth forest of beech trees, a habitat for dozens of bird species. 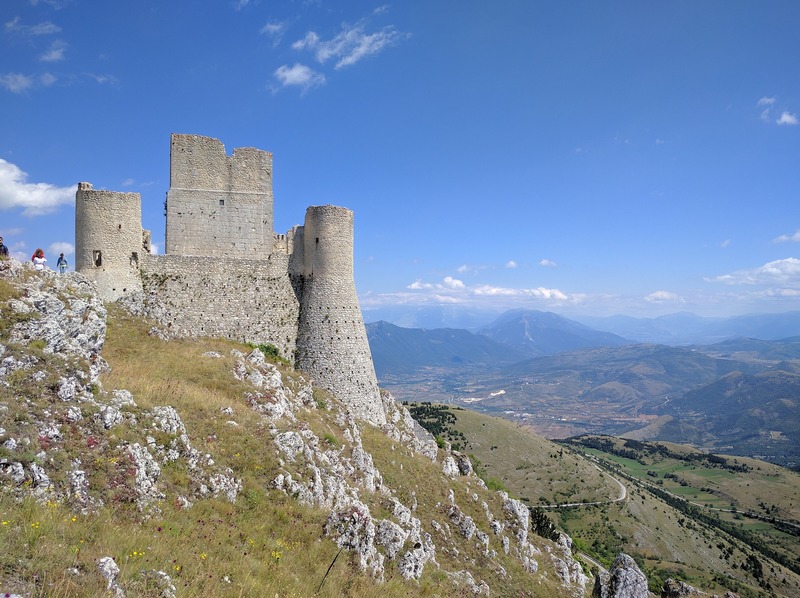 Rocca Calascio, Italy’s highest castle sits majestically overlooking the Gran Sasso e Monti della Laga National Park and Campo Imperatore. 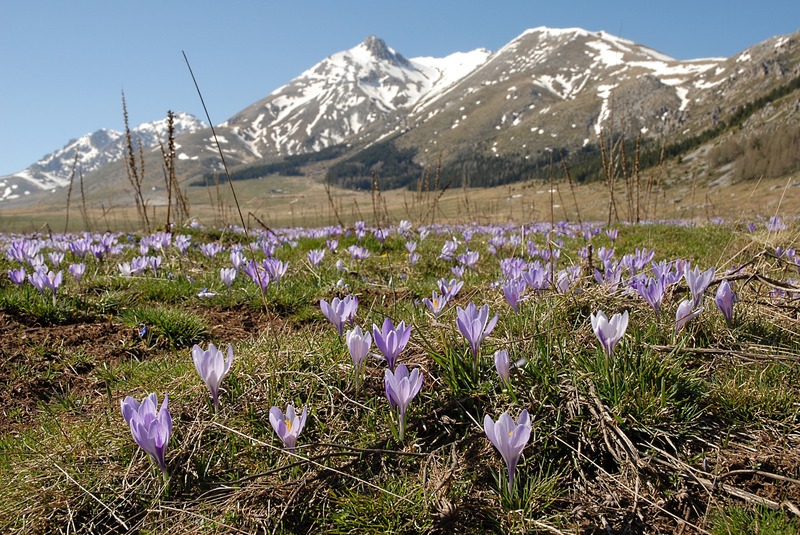 Whether visiting Gran Sasso Italy or another Abruzzo mountain in the Apennine range, nature lovers in Italy will love the Abruzzo national park region, one of Europe’s greenest regions. In Italy nature lovers will be exposed to some of Europe’s most diverse plants and animals at any Abruzzo park. Our Villa puts you in the Centre of all things Italian in the Adriatic Coast of Italy’s Abruzzo region. 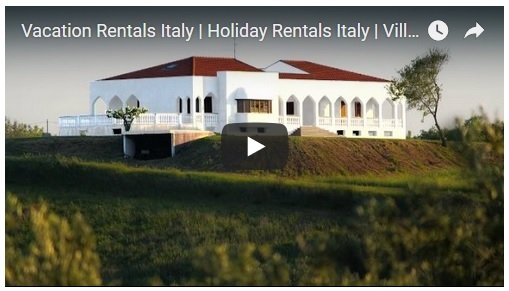 Contact Daniela today to enquiry about booking your dream Italian villa. This entry was posted in Things you need to know about Abruzzo. Bookmark the permalink. Really informative article post about Abruzzo. Awesome. Thanks for this post about the nature in Abruzzo. This wonderful region of Abruzzo is blessed with its pristine nature.